This is a large group of plants with distinctive five-petalled flowers, the lowest two concealing the stamens and style. The vetches are mostly climbing or clambering plants with pinnate leaves ending in a tendril. 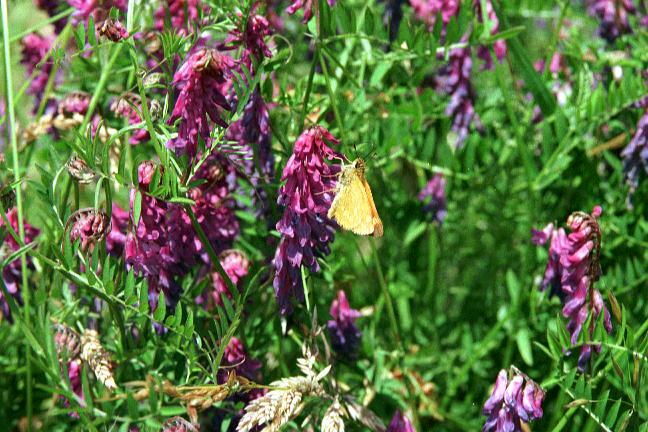 Both tufted vetch and common vetch are common and widespread in rough grassland. True peas such as grass vetchling, found mostly in coastal grassland, and sea pea, found on shingle, have winged stems. Among the clovers, red clover is a familiar grassland plant. Haresfoot clover is much more restricted in distribution, needing good drainage. Birdsfoot trefoil tolerates close mowing or grazing such as by rabbits, and is widespread in short grassland. Restharrow grows in dry grassland such as on Benfleet Downs.